Whether or not you’re a Pemberton local, a seasoned visitor or it’s your first time to the Valley, we’ve compiled an adventurous list outlining the top seven things you’ve got to do in Pemberton—or, perhaps, do again! These seven activities explore the unrivalled outdoors, the charming town culture, and the unique aspects that make Pemberton the desirable place it is. The hike to Joffre Lake has been consistently rated, for a long, long time, the #1 thing to do when you’re visiting Pemberton. 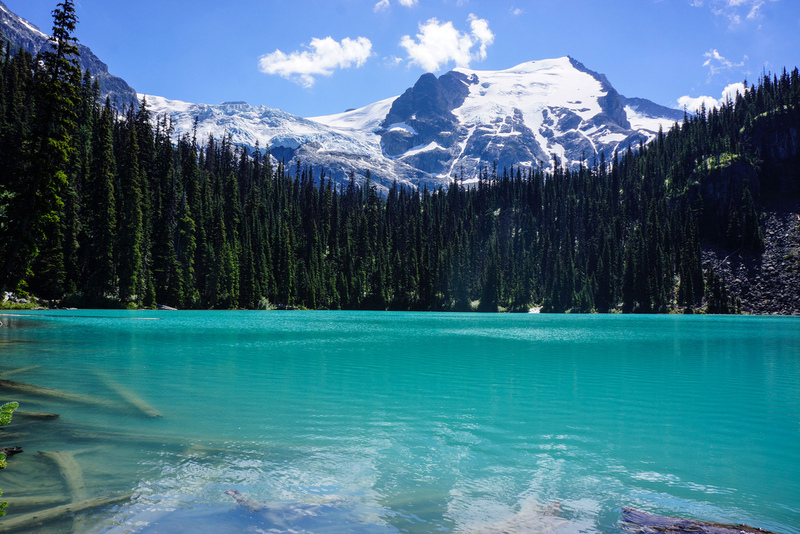 The hike is doable all-year-round, but to see the glacier-blue water that Joffre is famous for, you’re best to check it out sometime between June and September. 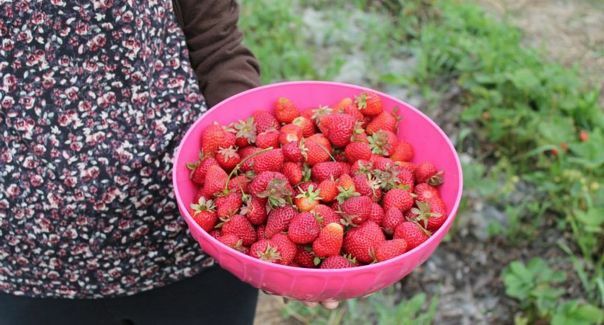 Another great summer activity is picking your own berries from the u-pick farms here in the Pemberton Valley. Most notable are the strawberries (in season right now) but visitors are able to load up on blueberries, raspberries and more at local farms like North Arm and Camel Back Harvest. Prices are low and the pickin’s are far from slim. 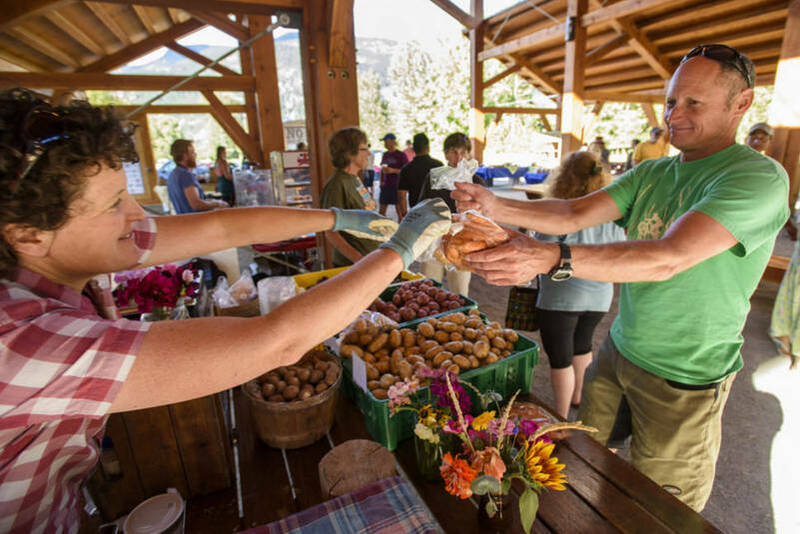 From mid-June to the middle of October, the Pemberton Farmer’s Market runs every week, on Wednesday afternoons from 3:30 p.m. to 6:30 p.m., under the Pemberton Barn located downtown. Artisanal goods like handmade crafts, baked treats, other food and produce and so much more are for sale. 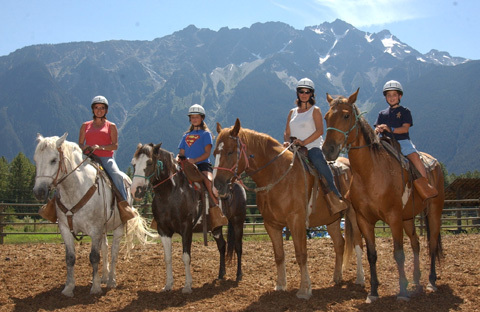 We’re not saying drop everything to become a horseback riding expert overnight, but one of the memorable experiences Pemberton has to offer is its horseback riding. The landscape is more than conducive to life filled with horseshoes and galloping, and there are plenty of outfits dedicated to giving beginner and experienced riders the time of their life—all while on horseback. Sending it on the trails has become synonymous with BC living, and things are no different up the 99. 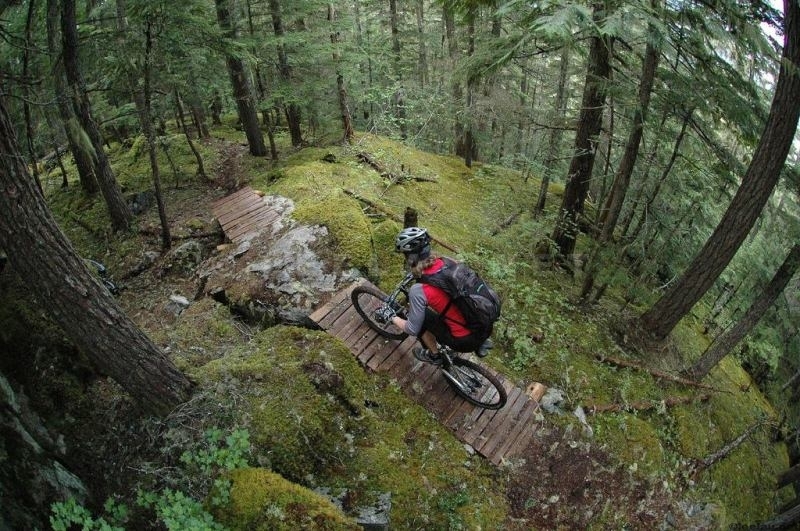 With its close proximity to Whistler, hungry mountain bikers have found some of their favourite trails in and around the Pemberton Valley. Just head to Lumpy’s Epic trail at One Mile Lake, Mosquito Lake for a vast network of trails, or the Mackenzie area for the much-ridden Bathtub Trail! 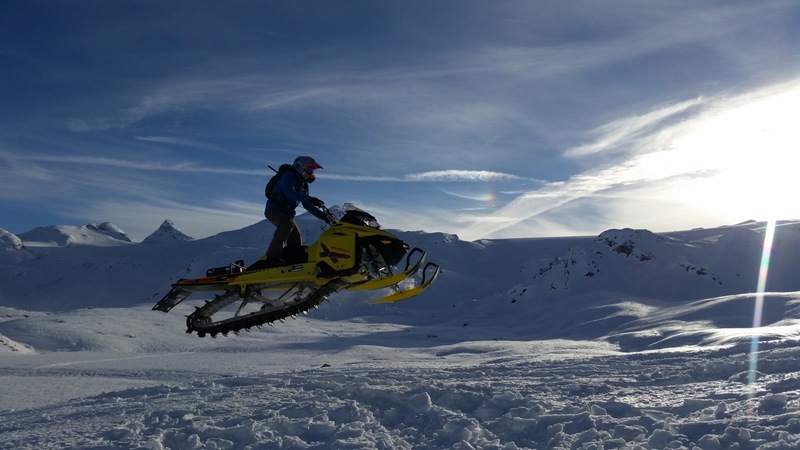 Come wintertime, there are plenty of activities for the snow-driven visitors to Pemberton. The backcountry snow is world-class, and there are some radical opportunities for skiers, snowboarders, mountain trekkers, snow-shoers, cross-country skiers and those out there looking to rev things up on their snow machines. 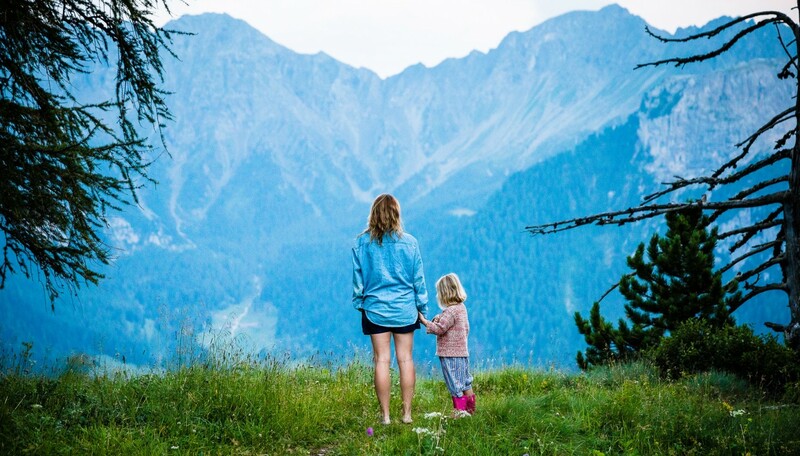 Pemberton and the surrounding valley have a plethora of private and public campgrounds available to everyone, depending on what kind of camping you want to do—tenting, RVing, etc. 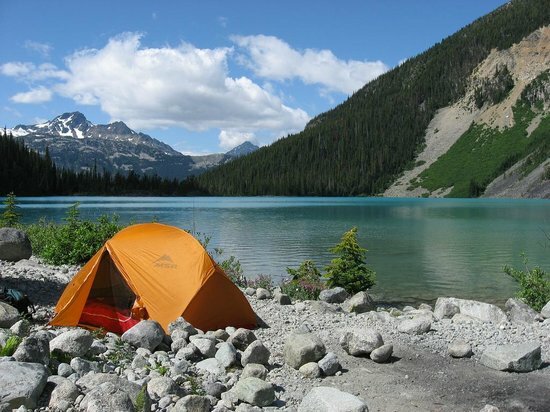 The area has four provincial parks located at Birkenhead Lake, Garibaldi, Joffre Lakes, and Nairn Falls among a variety of other places you can pitch your tent. If you are currently looking at buying or selling a property in Pemberton, get in touch and we’ll be happy to provide all the information you need!